The Arts Council promotes and supports the arts, arts organizations, and artists throughout greater Kalamazoo. Much of the work we do is behind the scenes either in meetings with our members, advising them on how to write grants, or with organizational leaders, helping them plan new programs. We help to create connections within the community that bring people and resources together. We network with various community organizations, including those in education, human services and economic development, to name a few. The arts community in Kalamazoo always remains in the forefront of our dialogue. We help artists and arts organizations produce music, theatre, dance, visual, media and literary art. We administer five grant programs for both individuals and organizations. We provide exhibit space for visual artists. We produce Art Hop, a free evening of art exhibits taking place monthly throughout our community. We produce Art on the Mall, a weekend-long event, supporting local and regional artists. We produce Concerts in the Park (free summer concerts in Bronson Park) and promote it, as well as programs from nearby communities, through Summertime Live. 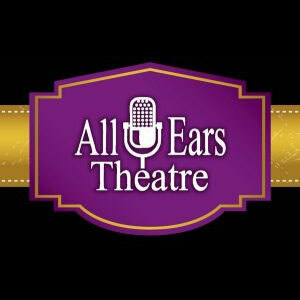 We produce All Ears Theatre, a series of radio theatre dramas performed live and re-broadcast on public radio. We connect artists with resources, and each other, through membership benefits as well as promoting and supporting arts events. We administer a fiscal sponsorship program allowing for the incubation of new projects to be supported as they grow. We manage the Epic Center, a home to 11 arts organizations, a retail store and a restaurant. The mission of the Arts Council of Greater Kalamazoo is to enrich and engage our community through the arts. The Arts Council of Greater Kalamazoo is the driving force that infuses the Arts into the economic, educational, and creative environments to improve our community’s quality of life. We value a community in which everyone can participate in arts and culture. We value a community that supports and empowers its artists, and its arts and cultural organizations, to create and share their art. We value arts and culture as key elements in creating a desirable place to live, work, visit, learn and play. We value open conversations with all members of our diverse community on how to employ the Arts in creating opportunities, addressing challenges and celebrating points of pride. Click to read our five-year plan. Office Hours: M-F, 9 a.m. - 5 p.m.